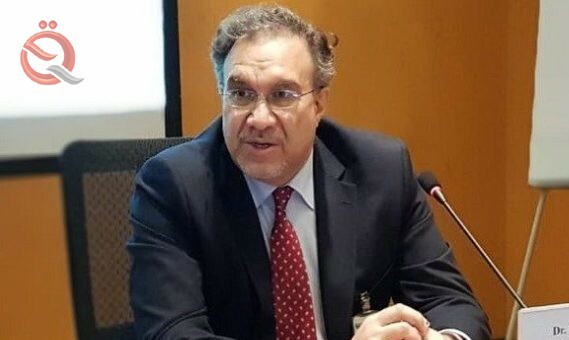 Minister of Electricity, Luay Khatib, promised to improve the reality of equipment in all regions of the country, pointing out that the processing of the summer of 2019 will be better than the previous. The Minister of Electricity on the sidelines of his visit to the province of Maysan, a press statement and his follower "Economy News," to "address during an expanded meeting with the staff of the Ministry and technical and engineering staff in the directorates of electricity to implement the plan of 2019, which will achieve a better status of processing energy, Decomposition of bottlenecks and increase obstetric capacities and discharge loads ". He said that this visit will be repeated during the next period to monitor the levels of achievement in order to resolve the electricity crisis, reiterating that this year will see better levels of processing as a result of removing the limits of the budget and financial challenges. The pledge came during the visit of the Minister of Electricity, Dr. Luay Khatib, to visit the provinces of Dhi Qar and Maysan to see the reality of the institutions and needs of the Ministry during the next phase. Khatib said in a joint press conference with the governor of Dhi Qar and a number of members of the House of Representatives that "his visit to the province of Dhi Qar comes within the framework of a field tour to all provinces of the country to find out the reality of electricity and know the needs of the next phase, noting that the rate of improvement in all sectors of the Ministry of Electricity ( Production, transport and distribution) will be 15 percent more than last year as part of the solutions set by the ministry within its powers and allocations this year. He added that this improvement will not stop at a certain level because the plans and agreements with international companies and friendly countries and donors will have a role in accelerating the development of the electricity sector under the current direction of the government, pledging that the electricity situation in the summer of 2019 better than last summer Dhi Qar and other provinces. Khatib pointed out that the ministry has stood on the priorities of the province of Dhi Qar in the electricity sector through this visit, and will work to involve her plan this year and the development of timely and important treatments and lead to radical solutions to end the energy crisis across the country. This was inaugurated by the Minister of Electricity New Sumer secondary conversion station (33/11) k. In the province of Dhi Qar cost exceeded 4 billion dinars, which will contribute to the dismantling of bottlenecks and reduce the technical symptoms that lead to power outages of citizens in the center of the province during the processing and to accommodate any expected increase in loads, the station includes two transformers each capacity (31.5) MVA type (Schneider) French origin and high technology. The Financial Control Bureau announced that three companies supervise the collection process on the Rusafa side, with 49 billion dinars in favor of the Ministry of Electricity. 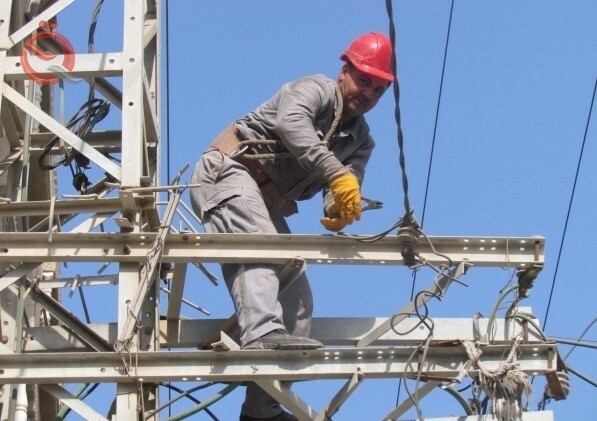 "The General Directorate of Electricity Distribution of Baghdad / Rusafa signed several service contracts and collection with investment companies, and the goal is to rationalize energy," the Financial Control Bureau said in a report on the results of the audit and specialized auditing on service and collection contracts for the province of Baghdad / Rusafa. And the exploitation of energy resulting from this rationalization in feeding other areas and reduce technical losses and improve the performance of the system through the participation of the private sector in the collection activities and periodic maintenance. According to the report, "Al-Nour Al-Naqeb Company carried out the contract of service and collection in 21 localities distributed in three areas, Zeona, Palestine and Al-Ghadeer, and Rafidain Company carried out the contract of service and collection in 42 locality distributed in the areas of Rusafa, In 15 localities and specifically in the regions of Adhamiya and Cairo, as well as Nakheel Middle East in 51 locality distributed in the areas of Karrada, New Baghdad and the bridge of Diyala and Zafaraniya. The report pointed out that "the investment companies did not adhere to the investment license in accordance with the letter of the National Investment Commission did not include contracts concluded with the Ministry of Electricity on the penal requirement in case of delay of investment companies in the issuance of investment license." The report pointed out that "companies did not comply with the reduction of electric loads by 20% in accordance with Article" 27-9 "of the terms of the investment contract. The report also stated that "Rafidain Contracting Company for the collection of revenues for the months of November and December 2017, the amount of 305.5 million dinars." Note that the contract concluded with the Ministry of Electricity required to achieve 8 billion dinars per month. According to the report, "indicators of citizens' payment of funds ranged from 0 - 54%, which requires the Directorate of Electricity to urge investment companies to increase indicators of payment for the purpose of achieving funds that contribute to maximize financial resources." The report stressed that "the Ministry of Electricity is unable to supply electricity for 24 hours to the areas covered, which necessitates the Ministry to provide investment companies equipped energy facilities and reduce the burden of payment of collection fees." He pointed out that "the number of subscribers collected by Ahl al-Wasal reached 1234,262, the total sold power amounted to 16.4 billion dinars, while the debts of the company amounted to 6.7 billion dinars, and the debts incurred by Nakheel Middle East 36.5 billion dinars, For contracting the amount of 5.8 billion dinars. "